Please take a look below for some of our more popular dishes! A staple appetizer for any chinese cuisine. Crispy freshly made wonton skin on the outside, with lots of fresh vegetables on the inside. 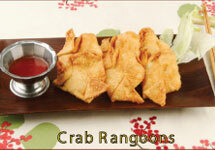 Crispy wonton shell on the outside filled with a creamy crab mixture on the inside. Goes great with seafood entrees. Beef marinated in a delicious Teriyaki sauce, skewered and grilled to perfection. Available with chicken as well. 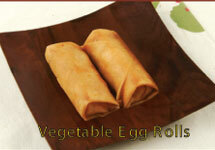 Our famous homemade egg rolls. Crispy freshly made wonton skin on the outside, with fresh shrimp, shredded BBQ pork, and vegetables with peanut butter sauce on the inside. Crispy! Deep fried breaded fresh shrimp. Tender grilled ribs with house special BBQ sauce. 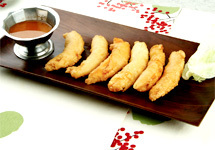 Breaded sesame chicken fingers with sweet and sour sauce. Have a drink to enjoy little bit of various appetizers. 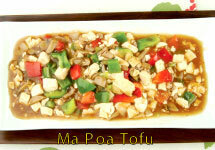 Ma Po Tofu is a popular Chinese dish from the Sichuan (Szechuan) province. It is a delicious combination of tofu (bean curd) and minced pork in a spicy chili- and bean-based sauce. A delicious entree of Chinese stir fried rice noodles with shrimp and shredded BBQ pork with seasonal vegetables in curry flavor. Tender slices of beef in a homemade Mongolian sauce with fresh green onions. Order Mild or Hot. A classic dish spruced up by adding fresh shrimp to crispy brocolli, mushrooms, waterchestnuts, peapods, and onions. Crispy tender chicken with a tingling spicy tangerine sauce. Order Mild to Hot. Long strips of boneless breaded chicken served on a bed of waterchestnuts and peapods with oyster sauce on top. 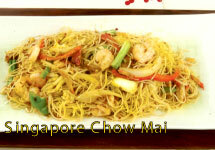 Prepared with beanspouts and onions mixed with thick & flat rice noodles. Breaded chicken served with peapods, bochoi, and waterchestnuts in brown sauce. Delicious tenderloin steak with mixed vegetables. Honey glazed walnuts with shrimps. Mixed with fresh shrimps, scallops, lobster meat, and crab meat stir fried with mixed vegetables. Breaded boneless chicken in lemon sauce. Dine in only, up to $12 with minimum purchase of $30 from your party. Valid ID is required.